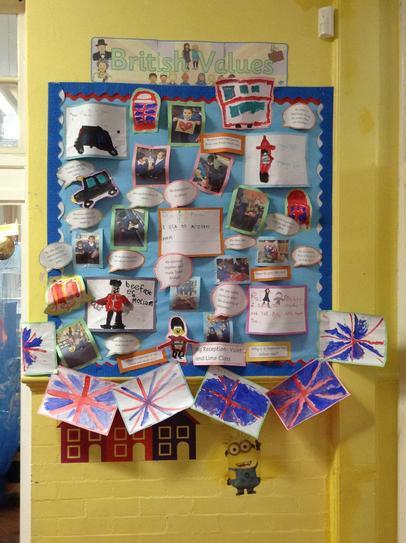 At Tudor Primary School we value the diverse ethnic backgrounds of all pupils and families and undertake a variety of events and lessons to celebrate these. 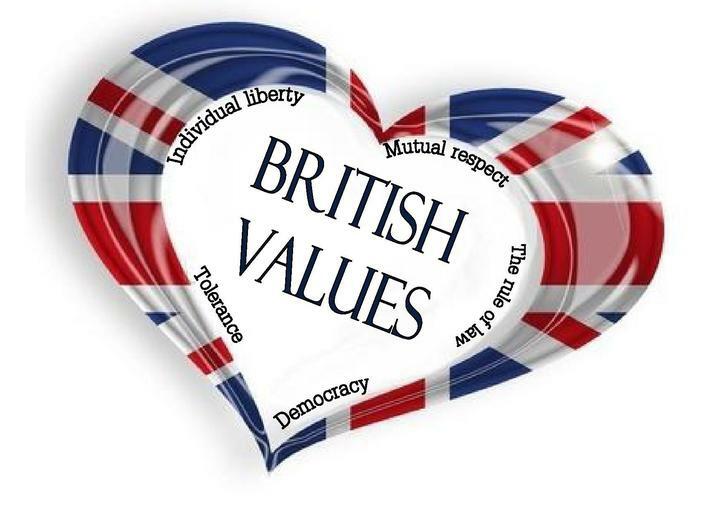 We have found this approach to be enriching for all parties as it teaches tolerance and respect for the differences in our community and the wider world. 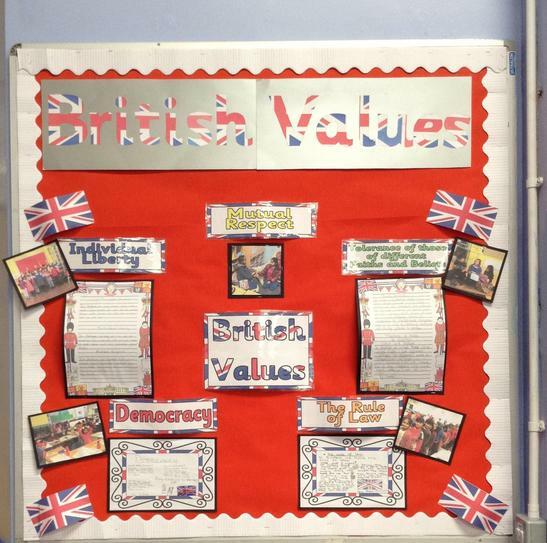 Underpinning all of this is a range of curriculum topics, which have strong links to the British Empire. 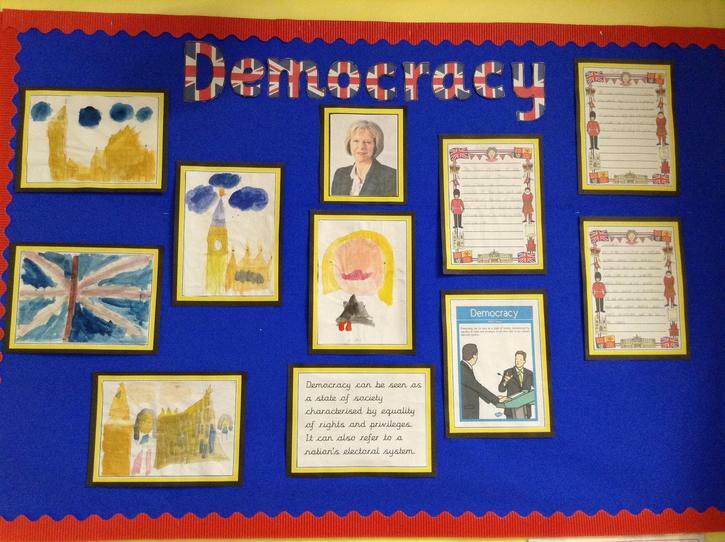 Democracy is within the school. Pupils have the opportunity to have their voices heard through our School Council and Pupil questionnaires. 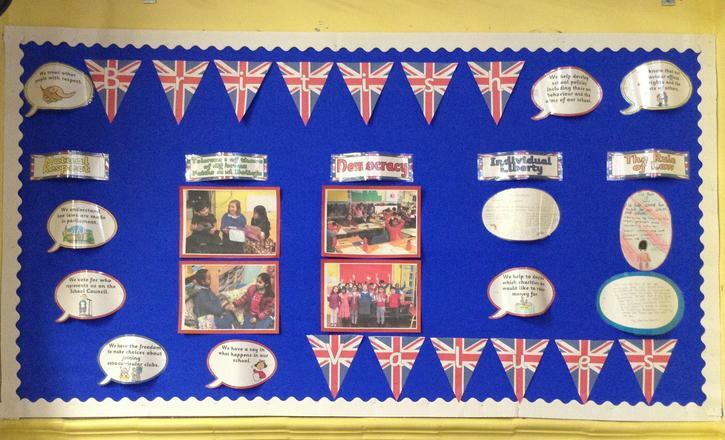 The elections of school councillors, as well star of the week, are based solely on pupil votes. Our school behaviour policy involves rewards, which the pupils decide upon. Within school, pupils are actively encouraged to make choices, knowing that they are in a safe and supportive environment. As a school we educate and provide boundaries for young pupils to make choices safety, through the provision of a safe environment and empowering education. 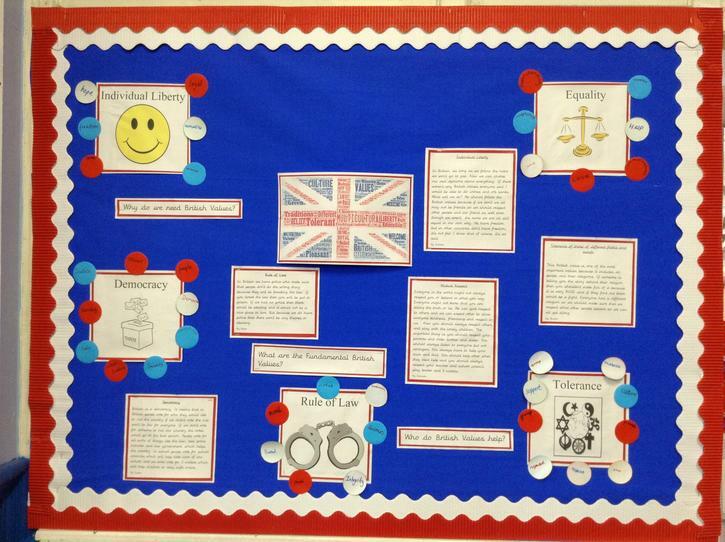 Pupils are encouraged to know, understand and exercise their rights and personal freedoms and advise how to exercise these safely, for example through our E-Safety and PSHE lessons. Whether it is through choice of challenge, of how they record, of participation in our numerous extra-curricular clubs and opportunities, pupils are given the freedom to make choices. 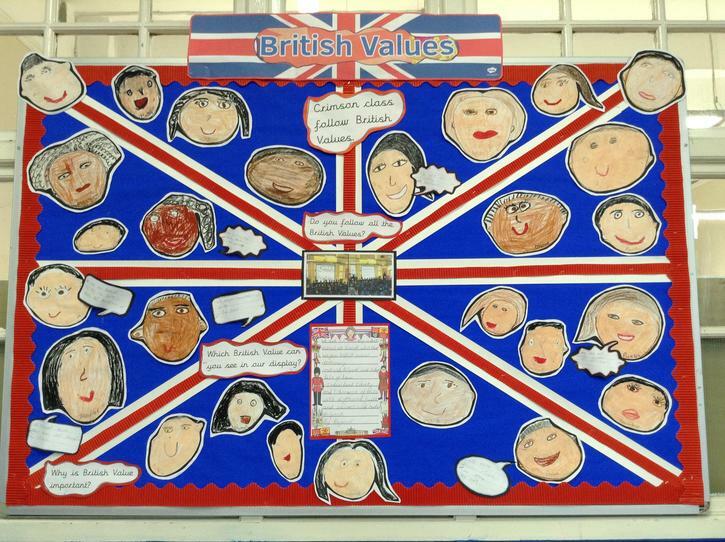 Part of our school ethos and behaviour policy has evolved around Core Values such as ‘Respect’, and pupils have been part of discussions and assemblies related to what this means and how it is shown. Posters around the school promote respect for others and this is reiterated through our classroom and learning rules, as well as our behaviour policy. 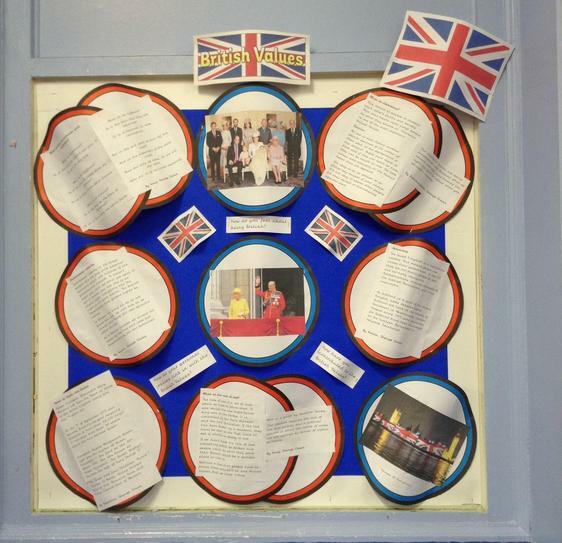 This is achieved through enhancing pupils’ understanding of their place in a culturally diverse society and by giving them opportunities to experience such diversity. 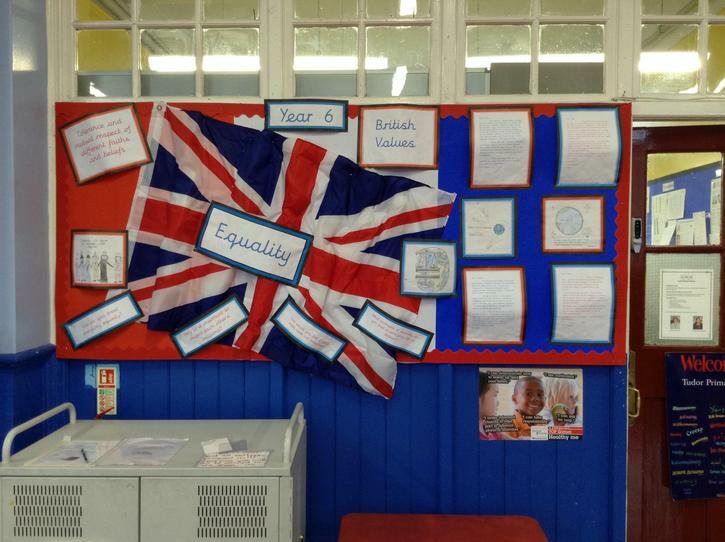 Assemblies and discussions involving prejudices and prejudice-based bullying have been followed and supported by learning in RE and PSHE. Members of different faiths or religions are encouraged to share their knowledge to enhance learning within classes and the school. 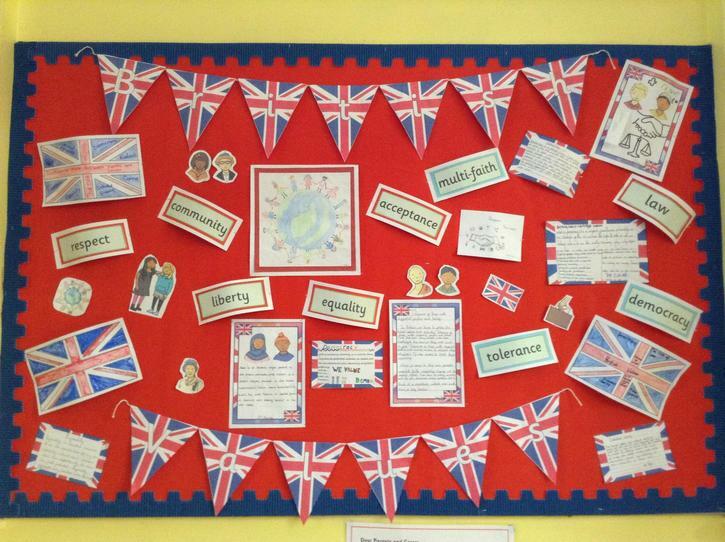 We actively promote diversity through our celebrations of different faiths and cultures. The children visit places of worship that are important to different faiths. 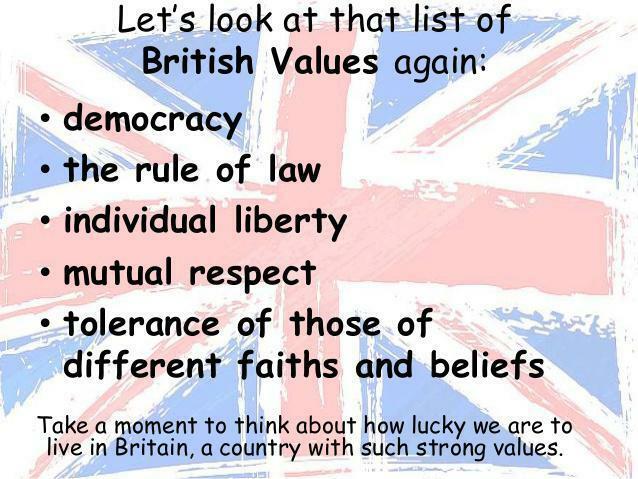 The Fundamental Values of British life include: At the citizenship ceremony new citizens pledge to uphold these values. 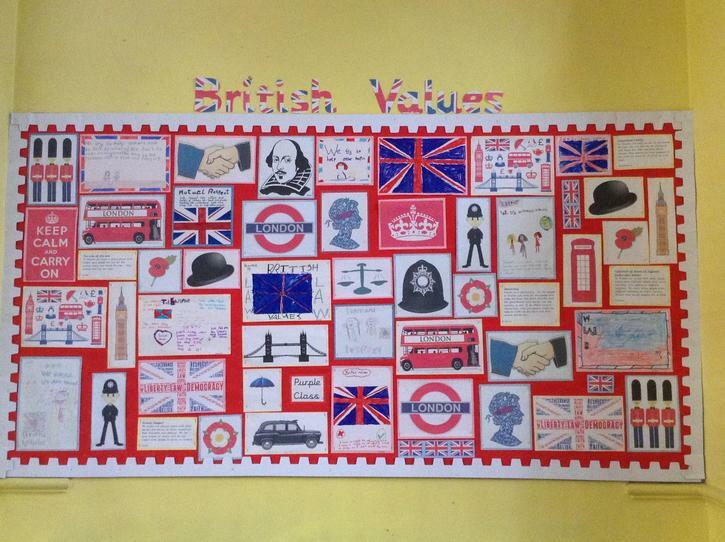 In school the British Values correlate strongly with our Tudor Primary School Values.